In 1971, the International Council of Nurses (ICN) designated May 12 – Florence Nightingale’s birthday – as International Nurses Day. 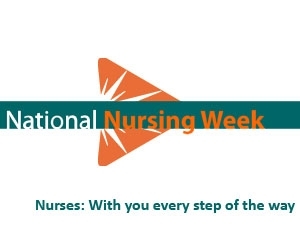 In 1985, in recognition of the dedication and achievements of the nursing profession, the Canadian minister of health proclaimed the second week of May as National Nursing Week in Canada. Nightingale is best known around the world as the “Lady with the Lamp” who nursed British soldiers during the Crimean War and turned nursing into a profession. But she was also much more than that. She was an activist, social theorist and author who’s advocacy to improve health and sanitation for British Army soldiers, and writings on hospital planning and organization laid the foundation for nursing’s emphasis on social determinants of health today. Nightingale published more than 200 books, reports and pamphlets. Nursing Week gives nurses across the world the chance to celebrate the work they do to keep Nightingale’s work alive by advocating for policies that keep people healthy, and care for them when they’re ill.
See what the Canadian Nurses Association is doing for National Nursing Week.